And they're looking to target what they're calling "ambivalence" toward the issue in Calgary in particular. The coalition of health professionals, including nurses, lab technologists, paramedics and students, have pitched in donations, totaling nearly $5,000, to pay for a series of billboards and a newspaper ad to run around Calgary. "We're small but passionate, and we're starting within Calgary where we think we'll get the biggest bang for our buck," said Dr. Joe Vipond, with the Alberta committee of the Canadian Association of Physicians for the Environment. "There's a feeling that Edmonton kind of gets the climate crisis more than Calgary does. That Edmonton understands the need for strong policy," Vipond said. "There's still some ambivalence within my city of Calgary about the need for strong climate action." The group is trying to reach people who fall between those already calling for climate change action and those who deny the phenomenon is caused by human activity, which is the prevailing scientific consensus worldwide. Anyone who cares about their health, Vipond said, should care about climate. The billboards read, "Alberta Doctors Support Strong Climate Action," and link to the website for the organization, which goes by CAPE. The group has posted an overview of research on the health effects of climate change and pollution. It highlighted extreme heat-related illness and death, increased rates of insect and animal-bourne diseases, reduced agriculture yields and air pollution-caused illness and premature deaths. Vipond noted that some obvious effects of climate, like sea level rises, are happening far from Alberta. But he pointed out that the province has weathered three major natural disasters in the past decade: the Calgary flood, the Slave Lake fire and the Fort McMurray fire. 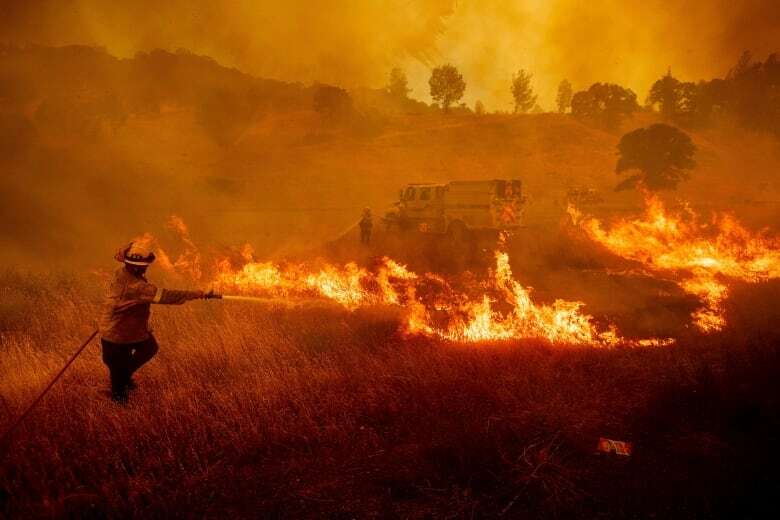 The changing climate has led, scientists have shown, to extreme weather events, that in turn produced more intense fires, heat waves and natural phenomena such as hurricanes. Meanwhile, a Nobel Prize-winning United Nations climate change panel has issued a dire warning. In an October report, it said the world has just 12 years to cut carbon emissions in half to avoid catastrophic climate change. As a large portion of Alberta's economy relies on carbon-related energy production, or oil and gas, Vipond said he hopes the province's citizens turn their attention to building a plan, should other countries transition off fossil fuels. He stopped short, however, of endorsing a particular party or candidate, saying he simply wants to raise the issue in the context of the election, stressing the health impacts. "It's not accidental that these ads are running during the election writ period," Vipond said. "I think they should take a good, hard look at the various policies that are being put forward by the various parties and make sure that climate becomes a factor in how they make their decision on April 16." Climate change has been on the minds of others behind election advertising campaigns based in Calgary. They must register with Election Alberta if they raise or spend more than $1,000, which means all such donations are listed online. One such campaign, registered under the name of Kenneth Gregory, will be dedicated to spreading an alternative view that counters the bulk of professional scientific opinions on climate change worldwide. Gregory is actively involved with Friends of Science, which denies that climate change is caused by humans or carbon, and instead argues it's part of a natural cycle. He said he was motivated to promise up to $50,000 of his own money to spread that message, though he expects his expenses will total much less. He said he won't be endorsing any particular party or candidate, as none go far enough to support his views, though he noted several oppose the carbon tax as he does. He said he expects climate change will help, not hinder, Canada. "We all have a right to present information. I'm presenting what I consider to be very factual information without exaggerating anything," Gregory said. Vipond said his group of doctors doesn't expect to change the minds of people who firmly disagree. Instead, he's hoping to explain the scientific evidence and reach "the vast majority of Albertans": those who've been too busy and distracted to give the issue attention, or who might not know how to further the cause themselves, Vipond said. "I want them to start talking about it. I want them to start recognizing it, that this is a real issue, that has real implications for their lives," he said. "It's not a belief system. This isn't a religion. There's strong scientific evidence that shows, this is what's going on right now, so some people just don't understand that evidence." Vipond has been involved in other health-related campaigns, including pushing for the phasing out of coal due to the air pollution's health effects. Another donor, Dr. John O'Connor, has raised controversial concerns about the health impact of oilsands development on Indigenous people. 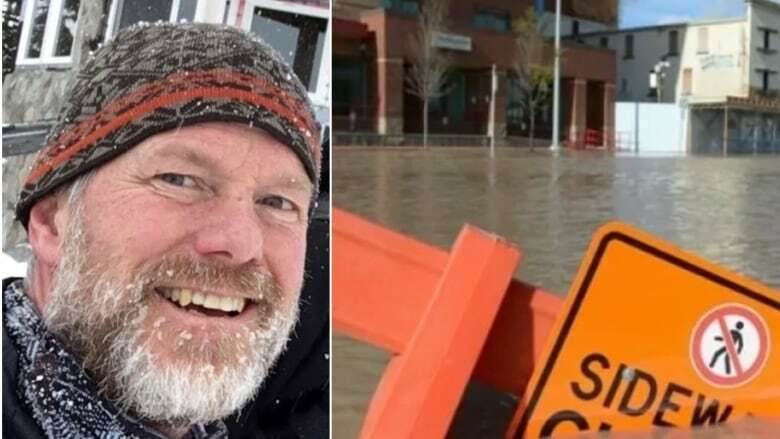 Vipond, who is an emergency room physician at Foothills Medical Centre, is also involved with registered third-party election advertiser Calgary Climate Hub, which has raised $2,000. He said he's not involved in the elections work, instead focusing on organizing community conversation groups on climate issues.